Picturing Disney: Welcome Moana to your Disney family this holiday season! 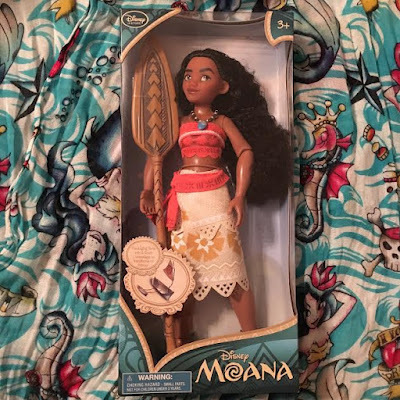 Welcome Moana to your Disney family this holiday season! I loved the feeling I had when I left the theater after seeing Moana! 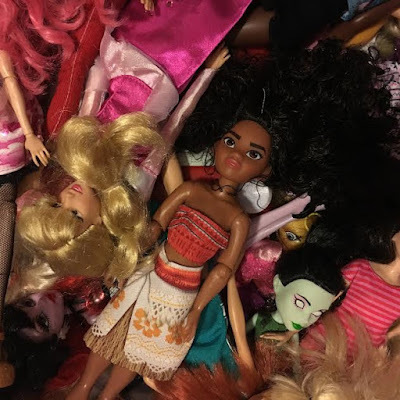 Moana is a movie that any child can relate to. A movie that can appeal to a child no matter their gender or ethnicity and empower ALL kids is my kind of film! There are multiple Moana dolls out but the Disney Store version is our favorite. Moana comes with an oar and directions for turning her box into a boat! You can nab the doll pictured above from the Disney Stores or website, and they also sell a deluxe singing version! The novelized version of the film is beautiful crafted, complete with a canvas cover and tattoos! We featured it in our most recent book round-up along with the beautiful Disney Art of Coloring Moana book. 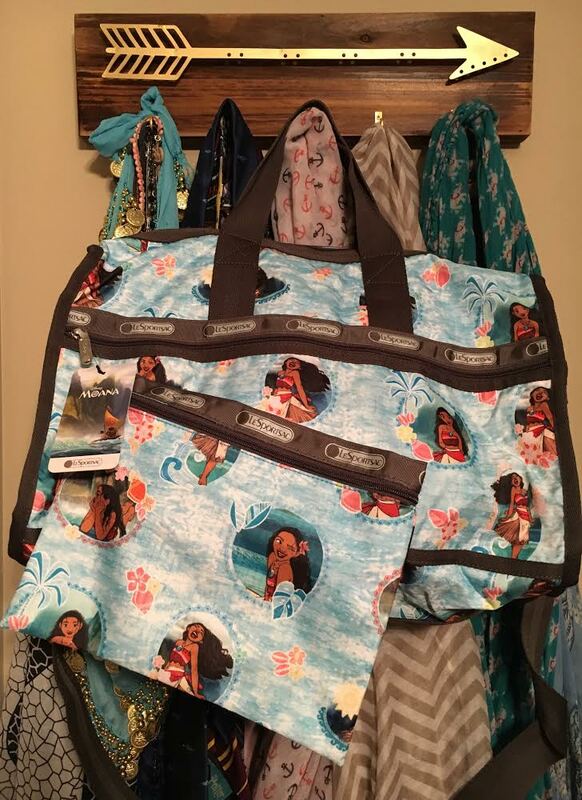 Of course, we can't look at the best of Moana merch without another shoutout to the beautiful new line from LeSportSac! Enter to win this fun bag starting tomorrow!